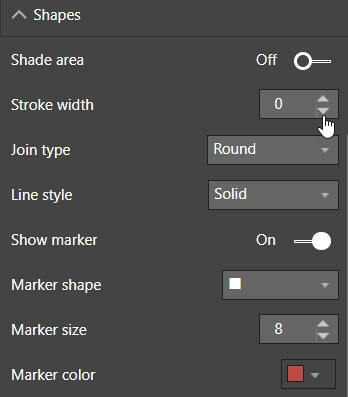 You can now set a line chart to have an invisible line (or zero stroke width). You can show data labels within the blocks of a funnel chart. Log axes now work properly. Below is an explanation and example for each change. Line charts with lines look very different to line charts without them! 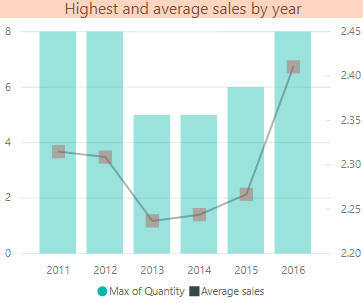 This line chart shows for each year the highest and average number of sales. A line chart without a line (just markers). Note that to reproduce this example I had to change the x-axis Type property from Continuous to Categorical, so that I could display markers. Here I've chosen Percent of previous. 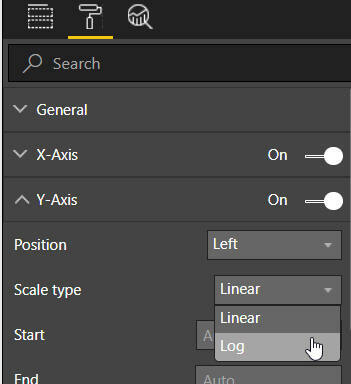 Power BI only displays the labels within the bars when there is room to do so. In this chart the Shopping Centre figures dwarf the others, and makes comparisons difficult. 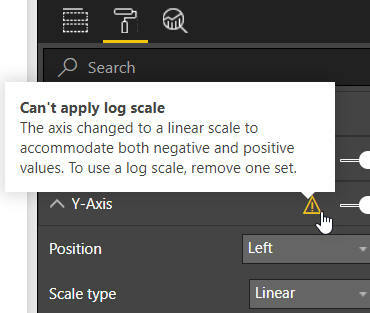 You can change the Scale type to Log to flatten out effects. 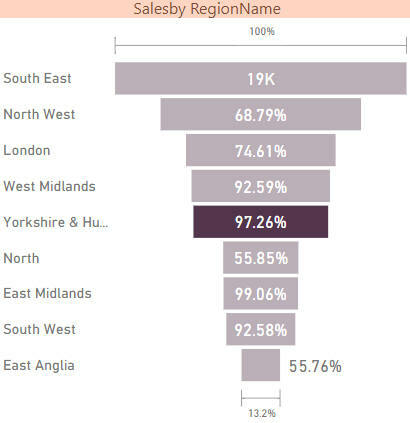 I'm not convinced that this is a meaningful way to compare sales data by centre type, but it does illustrate log charts! So this isn't a new feature, but an improved one. Here's what Microsoft have to say on the subject: "While we have supported (using a) log axis for a very long time, the support has been inconsistent across charts and could sometimes be hard to use". Mysteriously, we've managed to make negative sales for one of our centre types. Note that although the triangle symbol always appears, it seems to be hard to get the popup caption to appear (sometimes it flashes in the background only). No doubt this is a tiny bug which will be ironed out very soon.